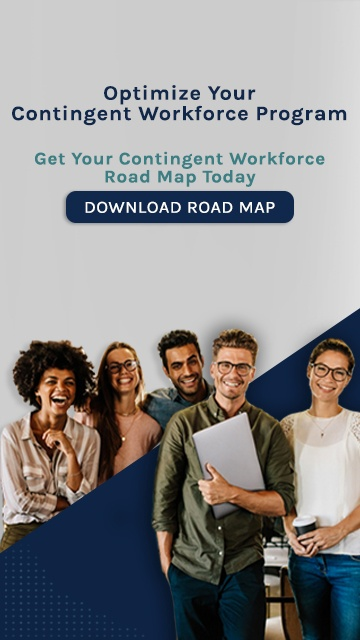 What are your contingent workforce challenges? You find the talent. We do the rest. When you partner with IES as your Employer of Record, you get all the benefits of today’s flexible contingent workforce without the risk. IES simplifies and streamlines your payrolling and HR processes – saving your company time, money and stress. No more second-guessing. From small independent offices to Fortune 500 companies, IES keeps companies nationwide fully compliant. See how Innovative IC, our comprehensive vetting and administration service, safeguards your company from costly classification errors. IES offers a gamechanger for larger companies seeking top talent. Fulcrum, our spin-off innovative talent acquisition solution, connects today’s enterprise companies with top-tier online staffing platforms. Stay competitive in the skyrocketing Gig Economy. From independent recruiters to multi-office organizations, our turnkey Back Office solutions let you easily expand your business into contract placements just about anywhere in the world – without the added costs, risks and extra work. "We are thrilled with IES's efficiency and quick response time. Thanks to IES, our clients are beside themselves with how fast we are able to hire and onboard new employees to begin working right away, sometimes in less than 24 hours." "IES is one of the most impressive companies I have ever worked with. Each employee is extremely knowledgeable in their position, but can also fill in for others when they're on vacation or leave. IES employees are the happiest I've worked with." "We returned to IES because of your quality and level of service, as well as your knowledge and ability to do a much better job for the employees. The transition went so smoothly! Thank you!" "I have daily contact with IES in my role and I continuously receive the best customer service - IES always goes above and beyond! I really do appreciate all of the hard work and patience. I look forward to many more years working with IES!" "As an employer using Innovative Employee Solutions, we are relieved to have IES by our side. Their payrolling services have been an immeasurable help in expanding our recruiting business to accommodate our nationwide clients. With excellent customer service and easy-to-use technology, Innovative Employee Solutions is just a phone call away, and they are always happy to help." "Outsourcing to Innovative Employee Solutions® is invaluable to my business. My time spent on administrative tasks has been reduced by over 50%. IES takes care of all the paperwork, terminations, sick leave, quarterly payroll taxes, and more. The value is well worth the fee. It’s a no-brainer." "IES has been tremendous. I’ve flooded them with new applications and other requests and really appreciate their quick response and high level of customer service." "IES is one of the most excellent companies I have ever worked with in my 30+ years of work. Every single employee is knowledgeable, extremely helpful, responsive, and friendly. I feel like I know all of them personally, even though we only work over the phone!" All the control. None of the liability. “Saving money” cost them valuable time.